Following the risks of overdose and addiction, and possibly death that could arise from the use of opioids for non-chronic cancer conditions, the American Academy of Neurology has published a paper which advocates that opioids prescribers and patients both sign an opioids treatment agreement among other precautionary options for users. Opioids have often been prescribed for health conditions like headaches, chronic lower back pains, and fibromyalgia among others, but the American Academy of Neurology warns that serious side effects could ensue if the compound continues to be used for non-cancer medical conditions. And they went further to state that addiction and possible death could occur because most patients taking opioids for three months or so could still be seen taking them many years later, and the long-term use could have serious associated risks. Although it has been admitted that opioids could provide considerable short-term pain relief, it has also been found that the compounds do not maintain pain relief, and it will only continue to work at long term with serious associated risks. And it was found that over 100,000 deaths have occurred within the US from opioids overdose and chronic side effects when used for non-cancer pains – since its introduction in the 1990s. 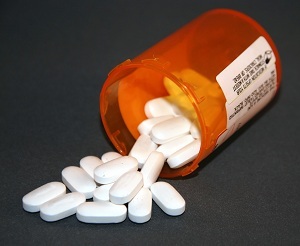 With the option to sign an opioid treatment agreement between the user and the prescriber, much risks of death, overdose, and addiction or side effects would be reduced; and then, the agreement would surely contain an outline of the benefits of the opioid treatment, its demerits in any specific situation, risks the patient faces, and responsibilities of the patients toward his own betterment with opioids.